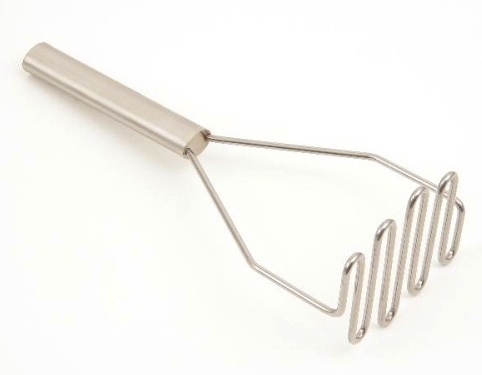 This potato masher will provide you with greater leverage and mashing efficiency. 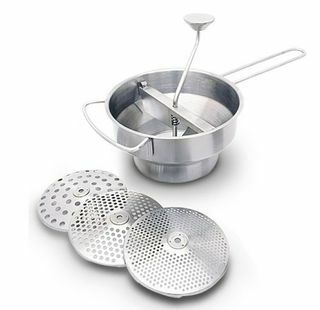 Made from stainless steel is a kitchen essential. 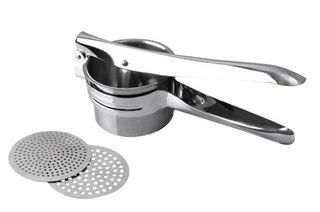 With a horizontal handle you keep a firm grip allowing you to easily mash your potatoes, kumeras and any other root vegetables. 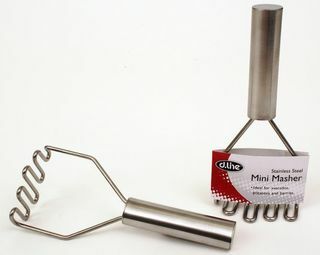 Mini potato and vegetable masher is made from stainless steel, hygienic to use and easy clean up. 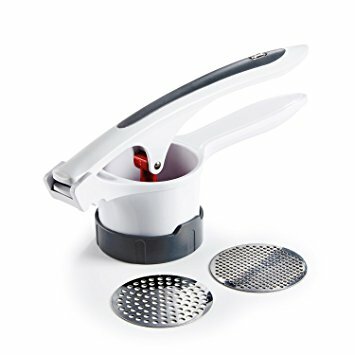 Ergonomically designed slim handle with soft-touch secure grip and integrated pot rest will allow you to make smooth, lump-free potatoes, pureeing vegetables and even spatzle! 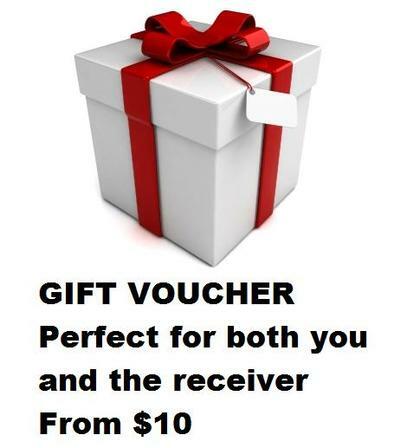 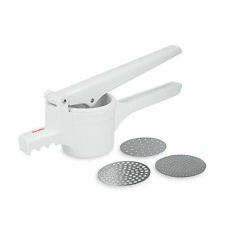 A traditional tool for all of your puree, baby food, soups and sauces. 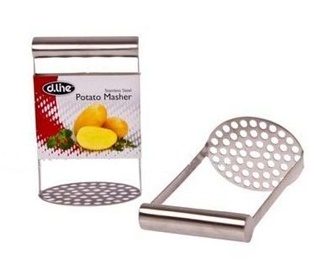 This elite chrome potato ricer is perfect for light, fluffy mashed potatoes, chunky or smooth applesauce, or coarse or fine mashed vegetables. 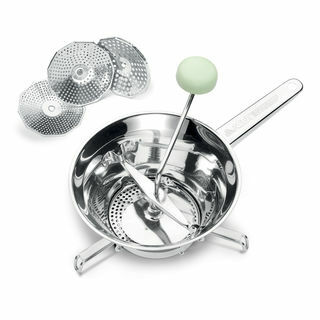 Whether you're making applesauce, egg salad or fluffing mashed potatoes, the Metaltex Pressy potato ricer is high quality and durable with 2 interchangeable inox stainless steel discs.